Swiss owned. German built. Italian design influenced. Last February, we told you about an upcoming new entry in the electric supercar segment, this one from Geneva, Switzerland-based Classic Factory. Called the Elextra, it is said to have a 0-62 mph time of less than 2.3 seconds and that production will be limited to just 100 examples. Today, courtesy of the company itself, we have more performance specs and official photos of the Elextra, and those numbers are mighty impressive. 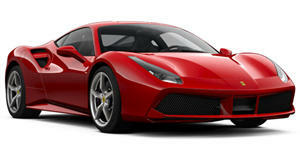 Not only could the Elextra be the fast accelerating car of all time, surpassing even the Tesla Model S P100D’s 0-60 time of 2.4 seconds, but it also has 680 hp, making it even more powerful than a Ferrari 488 GTB (661 hp). Top speed is limited to 155 mph, and we want to emphasize the limited part. Chances are, and this isn’t official, the Elextra can go faster. 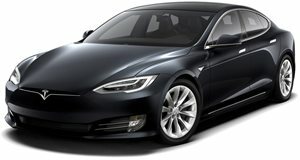 And like the Model S, the Elextra is a four-seat, four-door EV with all-wheel drive. The company hasn’t divulged the amount of juice its batteries produce, only that it can travel up to 370 miles on a single charge. Styled by Swiss designed Robert Palm, the Elextra has sort of a retro wedge look going, somewhat reminiscent of 70s era Lamborghinis and other wild Italian concepts from that time. The idea behind the Elextra is to combine pure lines reminding of the most exciting Italian supercars of the past, whilst being resolutely forwarding looking thanks to its low, sleek and beautiful design, paired with today’s most advanced technology," explained Palm. Production will be handled by an independent manufacturer in Stuttgart, Germany, however a start date hasn’t been announced, nor has pricing.